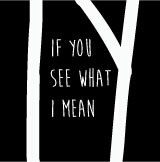 Iggy’s Lust for Life | If You See What I Mean… | Musical notes. As a kid I loved the glam rock stylings of David Bowie and specifically a larger than life theatrical character Bowie created called Ziggy Stardust. Back in 70s Britain, where everything seemed gray and uninspired, rock stars provided the only cultural colour in a teenagers life, So when, in a press interview, Bowie started talking about an American rock and roller called Iggy Pop I naturally wanted to know more. 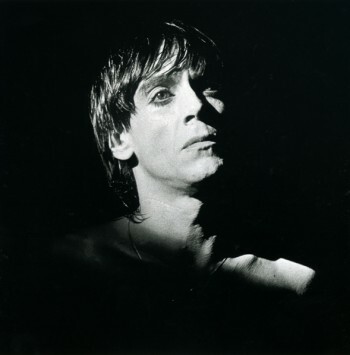 The accompanying photo of Iggy Pop – then a singer in a metropolitan Detroit band called The Stooges – is what got my attention. Here was a guy with silver hair, stripped to the waist and seemingly walking on the audience. 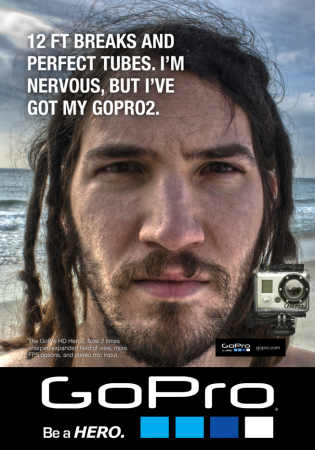 He had a look of wildness and purpose in his eyes. This was astounding to me. 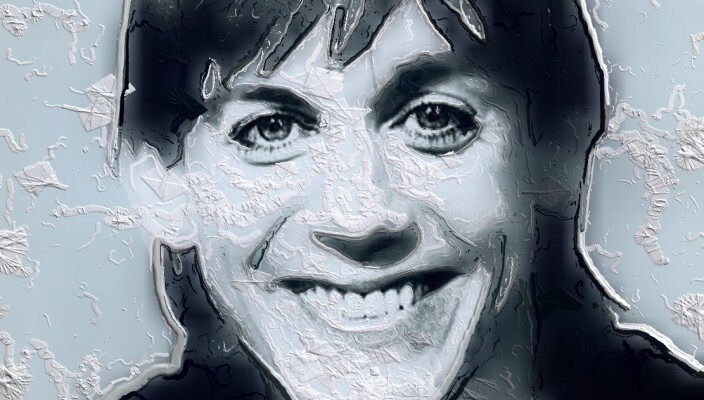 I’d seen so many pop acts on TV shows and had grown up with the British stars – Beatles , Rolling Stones, The Who – all of whom made rock and roll music a global phenomenon and I thought I ‘d seen it all. Iggy Pop and The Stooges were different. They were from a city I vaguely knew of in the American mid-west. Detroit, Michigan. An industrial area not too different to the area I grew up in back in northern England. Hang on. Isn’t that the place where the majority of American cars are built? Pontiacs and Dodges? Chevrolets and Mustangs? The place the gave the name to the glorious soul music we all know as Motown? Metro Detroit had another alternative music scene that included bands like Mitch Ryder and the Detroit Wheels, The Amboy Dukes, Question Mark and the Mysterians, Alice Cooper, MC5, Bob Seger and the Silver Bullet Band. A rough, edgy music scene emerging parallel to Tamla Motown’s Hit Factory right across town. This was simply raw music played for the hell of it. Looking at this amazing photo of Iggy crowdwalking was enough to send me out to the record store in my nearest town who, not surprisingly, hadn’t heard of him. Bowie had produced the seminal Stooges album Raw Power – a slab of vinyl that felt as thick as a roofing tile. It sounded as if it had been carved out of a piece of rock, and crackled like a wild fire. Which brings me to Lust for Life, which was recorded by Iggy with David Bowie in the walled city of Berlin in 1977. It was his second collaboration with David Bowie, after an highly experimental (and dark) album The Idiot. But this time around there was a survivor spirit and a rock’n’roll attitude at the heart of this swiftly recorded masterpiece. And it hooked me from the first chord. Ricky Gardiner and Carlos Alomar – longtime Bowie collaborators – would provide the backbone of the music of ‘Lust For Life’. Carlos has played on more Bowie albums than anyone else and is responsible for riffs and rhythms on songs like Golden Years, Young Americans, Fame, and the famous ‘Berlin’ trilogy of albums. Bowie would play keyboards and co-write some of the songs, but the album is so wonderfully Iggy. So why is Iggy Pop’s Lust For Life my favourite album of all time? Why does this – of all the many thousands of albums I’ve listed to over the years – remain my most treasured collection of songs? I think that what makes it work is that here are songs with troubling themes yet they keep an upbeat and inspirational atmosphere throughout. Of course this is nothing new in American popular musicEddy Arnold recorded You Don’t Know Me in 1956, later brought to full ironic poignancy by Ray Charles in the early sixties.Country music legend George Jones wrote She Thinks I Still Care back in 1962: a similarly double-edged song that had an inspirational tune, yet was dripping in melancholy. Closer to home, over at Tamla Motown’s ‘Hitsville USA’ headquarters on Detroit’s West Grand Boulevard, Smokey Robinson recorded songs like Tears of a Clown and Tracks of my Tears, The Four Tops were singing Reach out, I’ll be There and The Supremes recorded Ain’t No Mountain High Enough. Songs with deep emotions at the heart of their lyrics, yet a musical spring-in-the-step suggested a redemption. The spirit would survive. Appropriately Lust For Life kick offs with the same funky back beat that you hear at the beginning of ‘You Can’t Hurry Love’. Iggy is no Diana Ross. No need to jump in with conspiratorial lovelorn couplets – he lets the groove grow and consolidate before joining in the party. Iggy’s message is immediately more streetwise and direct. “Here comes Johnny Yen again, with the liquor and drugs…”Instantly the song has an edge and an atmosphere that’s closer to the novels of Elmore Leonard, Chester Himes and the underground music magazines like CREEM. This was no ordinary rock n’ roll work, but one that worked dark literary themes into sensational contemporary rock songs. There is throughout a sense of the confessional, with references to addiction, drugs and tragedy. For followers of underground rock and garage bands few of these themes would shock. We’d heard harder, harsher words from Neil Young, Bert Jansch, The Velevet Underground, The MC5 and the Patti Smith Group. 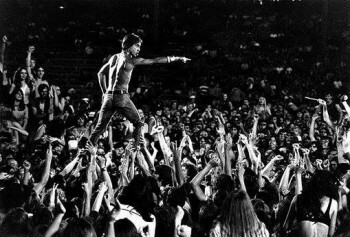 We’d heard the aural assault of Iggy’s band The Stooges so the themes and the styles seemed curiously easy on the ear. And this is what made it all work so well. The sense of abandon and release in all these songs had as much in common with Buddy Holly, Gene Vincent and Eddie Cochrane as it had with the urban avant-garde. Sure there are extraordinary moving and dark moments – The beginning of Tonight begins by setting a stark and emotional mis-en-scene that made the context of the song (written and re-recorded as a pop hit by David Bowie) bold, tragic and very moving. Other songs, such as ‘The Passenger’, were philosophical and full of cinematic imagery. The songs flow on, seemingly unrehearsed or pre-conceived. Some – like Here Comes Success and Fall In Love With Me – seemed so fresh and spontaneous it was hard to believe that they were not created on the spot. Overall the music feels like a blast of morning sunshine; A new dawn after bleak and stormy winter. 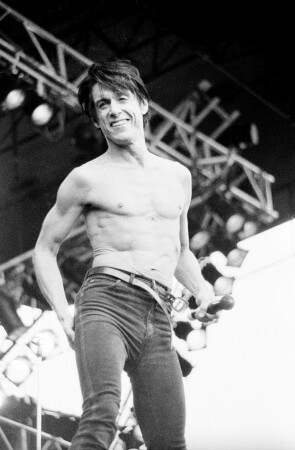 Watching YouTube interviews of Iggy Pop around that time – seemingly full of adrenaline and wired to the mains – I like to believe that this music – this album – gave Iggy the confidence and energy to become what he is today – one of rock music’s true survivors and an extraordinary eloquent ambassador for what we call rock and roll.